I really like to watch the Olympics for two reasons. 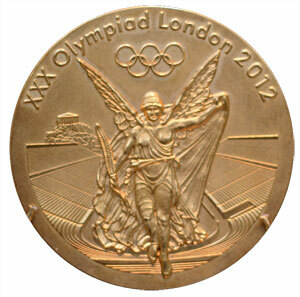 One is that it’s simply breathtaking to watch the world's best athletes compete for gold in the various sports! 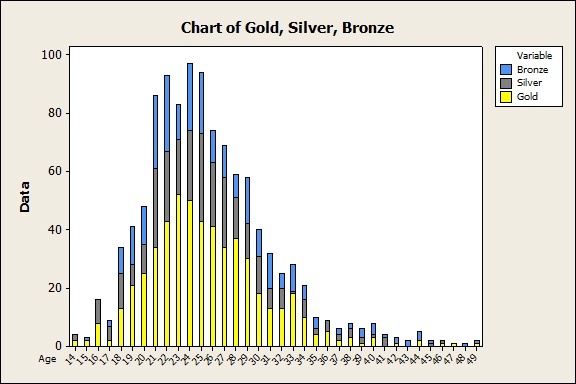 Another reason I love the Olympics is the plethora of data. From judging to timing, to preliminary rounds and finals, to the data surrounding the various Olympic records, there is data for every sport and every country at the Olympic Games. And most of it, especially more recent data, is free and easy to find. 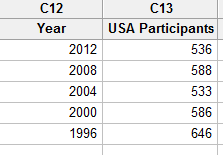 I came across stats that outlined the total number of medals won by Americans from the last four summer games (not counting this year’s games in London). I also found stats about each athlete, such as gender, age, medal won, and rank by total number of medals. 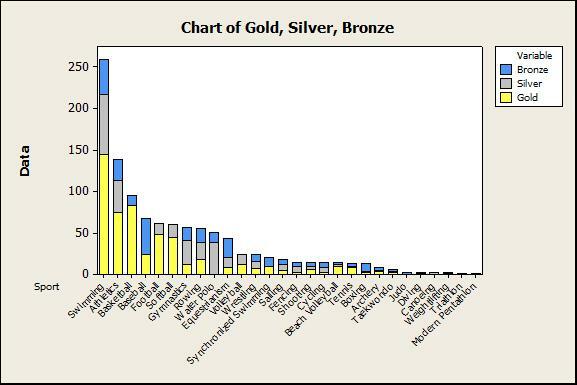 Now we can see which sports produce the most medals. Swimming is number one, followed by Athletics (track & field-based events), Basketball, and Baseball (which isn’t an Olympic event anymore). So if you’re an aspiring Olympian, but you’re not quite sure what sport to train for, you’ll increase your chances of medaling if you hit the pool! Does Age Impact the Number of Medals? You can see that very young American medalists (early teens), and older medalists (late 30s-over 40) tend to win fewer total medals than medalists within the age-range “sweet spot” of late teens-early 30s. Some sports, like equestrianism, tend to have older athletes winning medals, whereas a sport like gymnastics most commonly has a peak age-range of early-to-late teens for women (moving to late teens-early 20s for males). However, there are always outliers! USA Swimmer Dara Torres made headlines in the 2008 Olympics when she took two silver medals at age 41. While the odds may seem stacked against them, older Olympians still win medals in many sports. With an Analysis of Variance (ANOVA) test in Minitab, I tried to confirm statistically if age and sport together could affect the total number of medals an American athlete receives. Because the ages across the sports cover relatively the same range, I wasn't able to conclude if there was an interaction. Even though the model isn’t great (R-Sq = 21.42%), the analysis shows that age has a high p-value (0.499), while sport is statistically significant at p=0.000. The low R-Sq value implies that there are likely many variables that can help or hinder an Olympian’s odds of medaling, but often times other factors that aren’t as easy to quantity, such as nervousness or even luck, impact an athlete’s chances of medaling in ways we’ll never be able to see graphically or analyze statistically. Now that the Olympics are winding down, I’m anxiously awaiting the final count of medals won by American Olympians in 2012. It will be interesting to see how the total number of medals and type of medals won by the USA stacks up to previous summer games counts, and if any American Olympians won medals from any outlier age groups! Thanks to Michelle for her help with the analysis! The data I used in this blog is available on Sports-Reference.com, and the exact dataset I used can be downloaded here.